This word is Chinese, which is pronounced xing fu. 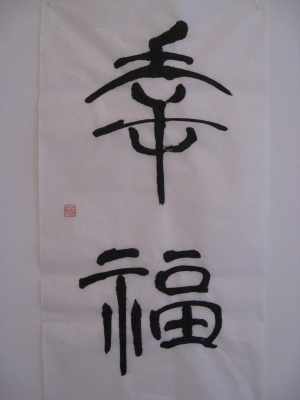 The meaning is happiness or eudaemonia. This is Ms.Anqi Liu's favorite word. She comes from China and is in her 20's.